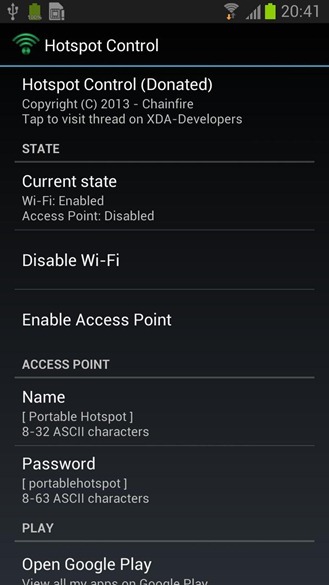 Stock Android has had built-in tethering since version 2.2 way back in 2010, but most carrier-branded devices in the US have the option disabled. Sure, there are root apps and various workarounds, but they can be a mess. If you don't need web access, but want your devices on a local network, you're often out of luck. A new app from well-known developer Chainfire gives you back some control (on some devices), and it doesn't require root. The app is designed to be simple – just pick a network name and a password, then activate. WPA2 AES + TKIP is always enabled in the interest of security and ease of use. 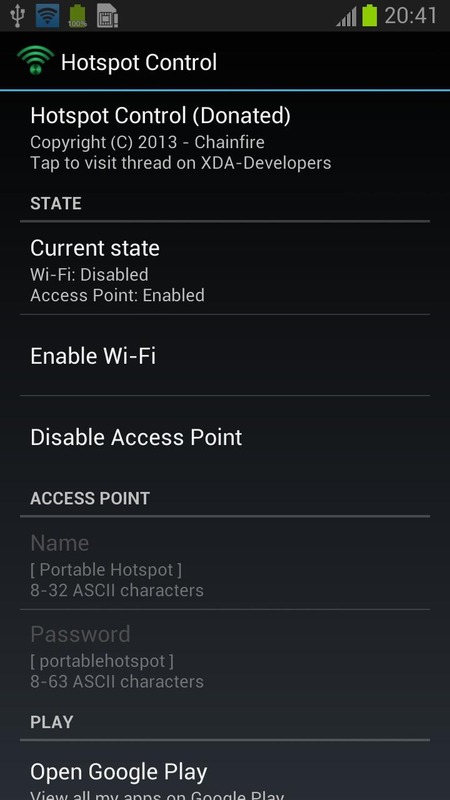 Hotspot Control should work on phones that have the tethering option hidden, but it's not a sure thing. Carriers and OEMs have different methods of disabling the tethering option. Some users report success, while others are having issues. Note, this isn't used to bypass tethering – it's a local connection only. 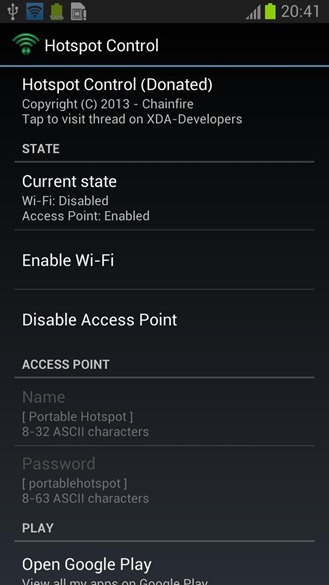 Chainfire says in the description Hotspot Control works on a Note II to bypass the SIM restrictions for WiFi hotspots. It does not function on our AT&T Note II, though. It also doesn't work on the HSPA+ Nexus 7. We've reached out to get clarification on device support, but the app is free so you can give it a shot at no cost.